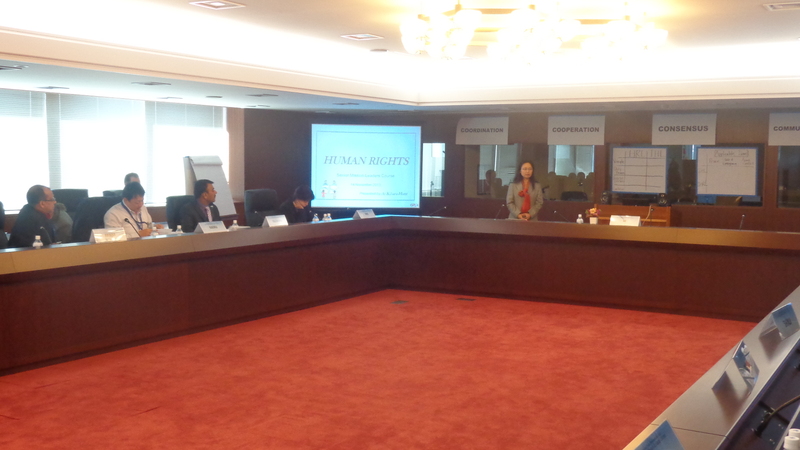 I lectured at the US-Japan Global Peace Operations Initiative Senior Mission Leaders Course last week. My sessions were on human rights and peace operations, focusing on the content and development of relevant human rights, laws and policies at the UN in the context of peace operations, and roles an responsibilities of human rights components, leading to the case study. The Participants are senior leaders, with a potential of becoming (Deputy) Special Representative of the Secretary-General in future missions, and thus their interests were centred around the real situations and dilemmas. As most of the sessions were power-point presentations, I used flipcharts and cards in an attempt to make it more interactive. With the participation of a lot of former SRSGs as mentors, I also learned a lot from the sessions. This entry was posted in Uncategorized and tagged GPOI PKO human rights lecture by aikiharahunt. Bookmark the permalink.